Ahhh, the problem with TSN being the host broadcaster is that a lot of people (cord cutters!) cannot watch the Grey Cup on TV (could you guys at least simulcast it on CTV? – nope; offer a paid TSN feed for Canadians? – nope). So, how do those without TSN watch the Grey Cup? A pair of us were at Grey Cup party Touchdown Manitoba this past Friday. A tradition of Touchdown Manitoba, we’re told, is a bit of a cheap sandwich ‘buffet’. Crummy white bread with meats, cheeses (or possibly one meat and one cheese — I didn’t investigate fully) and mustard and such (what a deal! – “free” with your $25 admission). 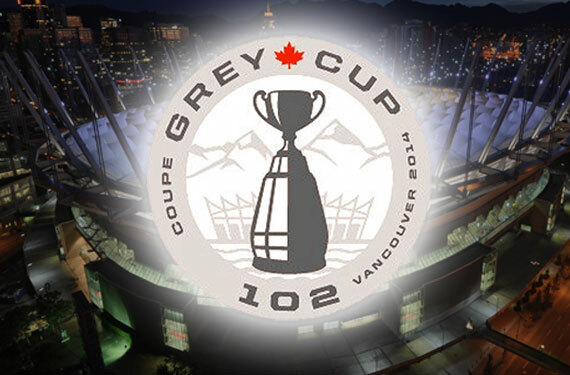 The 102nd Grey Cup kicks off in Vancouver, but our beloved Double Blue will not be taking part. The Roar On the Shore! But The Empire need not fear! Here’s some tips on how to enjoy the CFL finale without the Argos playing (I know, I know; it won’t be as awesome, but we’ve gotta try, eh?). Grey Cup Sunday is Here! Grey Cup Sunday is here! Your Toronto Argonauts could not defeat the resurgent Hamilton Tiger-Cats last weekend so it’s a Ti-Cats/Roughriders final in Saskatchewan today.